Matthew Hodgins: Dip (RSL), BA (Hons), PGCE (UCL), QTS (DfE) is a Canadian percussionist & music producer with a wide experience in presentation. He has developed thrilling workshops which blend voices, numeracy, physical skills and expression, and which also include his valuable set of drums! 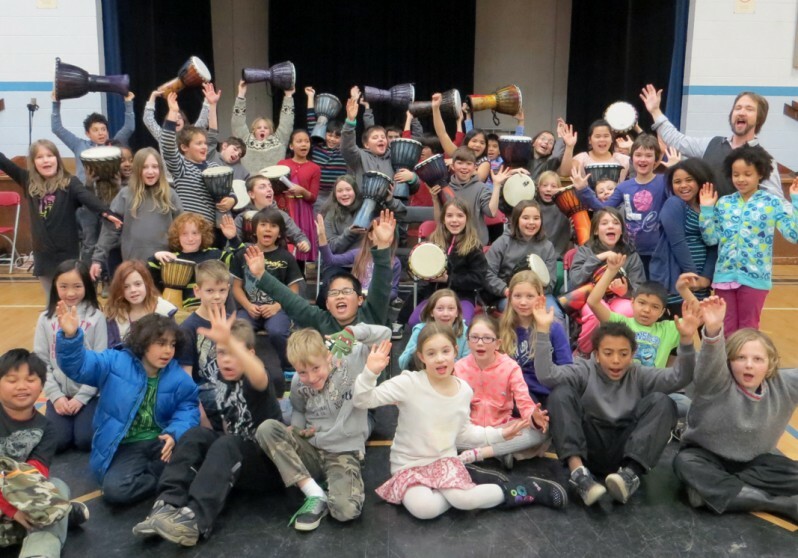 This service delivers immaculate djembe drums to the hands of your students, and then teaches a range of techniques (which may culminate with performance). Matthew will unify all your hearts and minds with his inspiring teaching and rapid results. In addition to being listed here, and as an instructor on Drumeo, and on the ArtStarts AIC Directory, he was for 2 years part of VSB AIR. Music software, video software, drum set, bass guitar, vocals, mallet instruments, djembe, music production, music business, website design & html coding. The Core Group Residency Program is the reiterative opportunity for students to create, perform and make deeper discoveries about themselves and their environment. “In-classroom instructional residencies increase their impact when teaching artists work with core groups” [Silverstein 2004]. CGR offers an enhanced series of drumming sessions for one class; and this option will give students regular access to a very valuable and musical set of drums!! The CGR delivers a profound drumming experience! As children return to their drums and their rehearsal setting, they will: gain more confidence; retain more music; and reach a further point of skill progression. 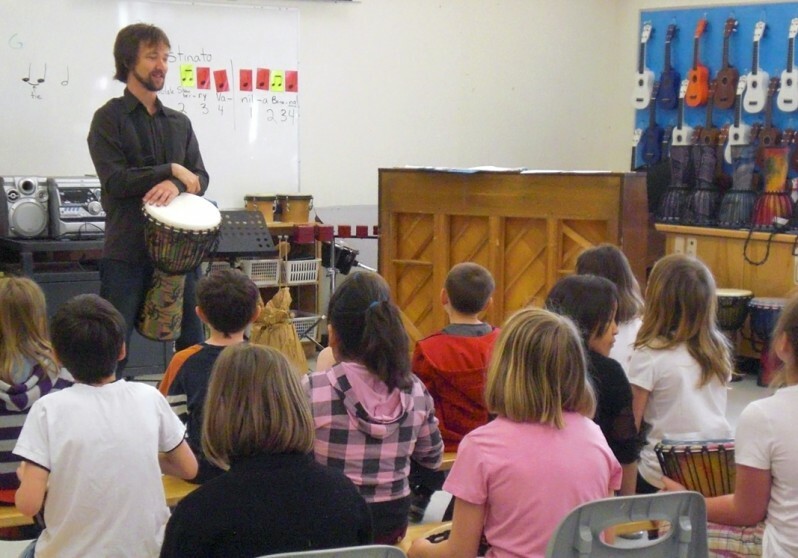 From years of development, Matthew has crafted a succession of specialist percussion music lessons designed for B.C. school classes. He will work collaboratively and collegially with classroom teachers. He invites feedback and will adjust plans based on comment or constraint. Maximum: 30 participants. Larger groups can be accommodated through discussion with the artist. Contact for any enquiries or detailed analysis, because all specifications listed here are adaptable! The Music Technology Workshop (MTW) is an introduction to electronic digital music, designed for students who want to know more about recording and mixing songs, music for games and film, online outlets for releasing material and more! MTW can be delivered in several forms based upon a school’s curriculum or focus. The school organizer can discuss their objectives with Matthew, or they may submit the simple questionnaire by email. By default, MTW teaches digital programming (which could be easier than you may think) and the workshop will constantly draw upon its participants. Matthew comes equipped with quick set up professional resources which can stand alone or can be teamed with a school’s system. MTW is quickly calibrated to all ages and abilities, and its purpose is to guide the next generation of music thinkers and composers through the array of 21st century music facilities. Vancouver Island, Abbotsford, Burnaby, Coquitlam, Delta, Langley, New Westminster, North Vancouver, Richmond, Surrey, Vancouver, West Vancouver.